Want Debt-Free College? Tax the Rich. A 1 percent tax on concentrated wealth would erase student debt over a decade and bring the cost of public higher education to zero. 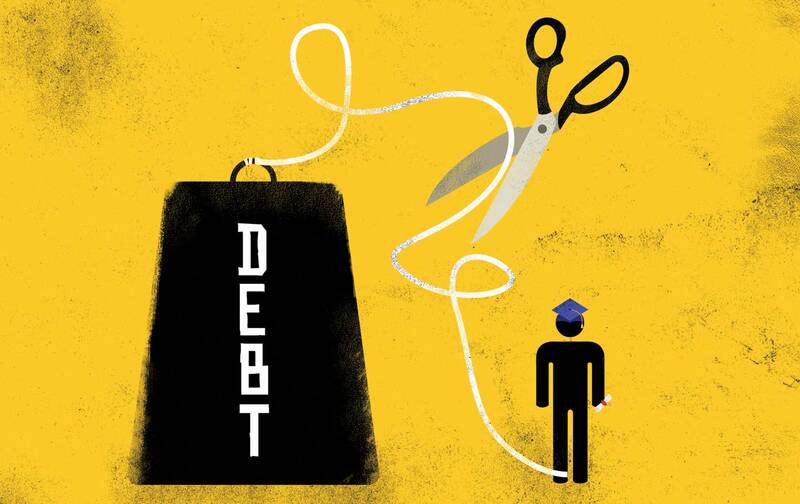 Higher education has become a debt sentence for millions of Americans, limiting economic mobility and contributing to our growing economic divide. Student debt now tops $1.3 trillion, and the burden weighs heaviest on black and Latino students. Young, low-income African-American families are twice as likely to have student debt as their white counterparts. Our current debt explosion has coincided with the increasing concentration of wealth in America. The super-rich are shielding their financial fortunes from taxation, an unfair dynamic that leaves public revenues depleted. One consequence: All but three states are spending less on higher education today than they did before the Great Recession struck in 2008. This fiscal deficit is forcing college students and their families to plunge ever deeper into a financial hole. Tuition-free public higher education, funded by a tax on concentrated wealth, could end the college debt spiral. The cost of making public colleges tuition-free would be significant—about $76 billion per year. But the potential revenue from even just a modest wealth tax would also be significant. Taxing the wealth of our richest 1 percent at a mere 1 percent would raise some $260 billion annually—enough to cover the cost of tuition for any student interested in attending a public college or university and eliminate all existing student debt over a 10-year period. The movement for tuition-free college has grown dramatically over the past year, with strong leadership from Jobs With Justice and the United States Student Association, among many other groups. The campaign gained significant momentum when White House hopeful Bernie Sanders introduced the College for All Act in the Senate last May. It gained more steam in November, when thousands of students at over 100 campuses took to the streets for the first Million Student March, a demonstration in support of debt-free college. But the support for tuition-free college could be much broader than just current students. Student-loan debtors who are no longer in school—40 million Americans in total—are another major constituency. Many have had to delay marriage, homeownership, or even independent living to pay off their loans. Young parents trying to save for their children’s college education at a time of stagnant wage growth constitute an equally promising pool of potential support. All of these disparate groups, if they came together as part of a sustained movement to make postsecondary education a basic right—paid for by a slight tax on wealth—could put an end to the age of skyrocketing student debt, and the inequality that it so relentlessly exacerbates. › In 2014, 69 percent of college seniors graduating from public or private nonprofit colleges had student-loan debt. › Average student-loan debt in 2014 was $28,950, representing a 56 percent increase from the 2004 average of $18,550. › During that same decade, state funding for public colleges dropped from 62 percent to 51 percent.